As an economic study design in which consequences of different interventions are measured using a single outcome, usually in ‘natural’ units (for example, life-years gained, deaths avoided, heart attacks avoided or cases detected), cost effectiveness has become synonymous with health economic evaluation and is often used to depict the extent to which interventions represent value for money. Cost effectiveness models are required to demonstrate the value of their product and the benefits over the existing standard of care and are a key component of submissions to Health Technology Assessment (HTA) bodies and inform discussions with national, regional and local payers. Adelphi Values | PROVE has experience of cost-effectiveness models across a wide variety of diseases and therapeutic areas, developing models appropriate to different countries and healthcare systems, and of adapting core models to a variety of situations. We have worked across the globe in a range of countries across the globe including the USA, UK, France, Germany, Spain, Italy, Netherlands, Belgium, Austria, Japan and Korea. Our modelling experience covers partitioned survival models for oncology, decision-tree modelling for infection and Markov modelling for respiratory disease. We also have a close partnership with a company with expertise in discrete event simulation, if required. 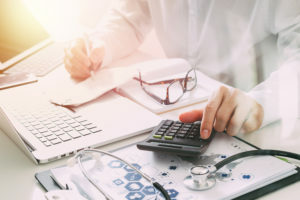 Predictive reimbursement modelling is also becoming an area of expertise for our company with our clients requiring the rapid development of economic models to inform product acquisition decisions. Adelphi Values | PROVE has experience of developing cost utility studies from existing data and also in identifying and defining the applicable utilities for the study. With the necessary economic technical expertise, we are able to deliver cost utility analyses from evidence generation through to model interpretation for HTA submission. The health economic and value communication expertise in Adelphi Values | PROVE allows us to conduct utility studies using the most appropriate and experienced individuals.